This week has been another filled week so far. Yesterday we went to the Primary school to see their Nativity. The children all sat very well and listened to the whole play and were fascinated. Well done to all the children and their teachers for a great performance. 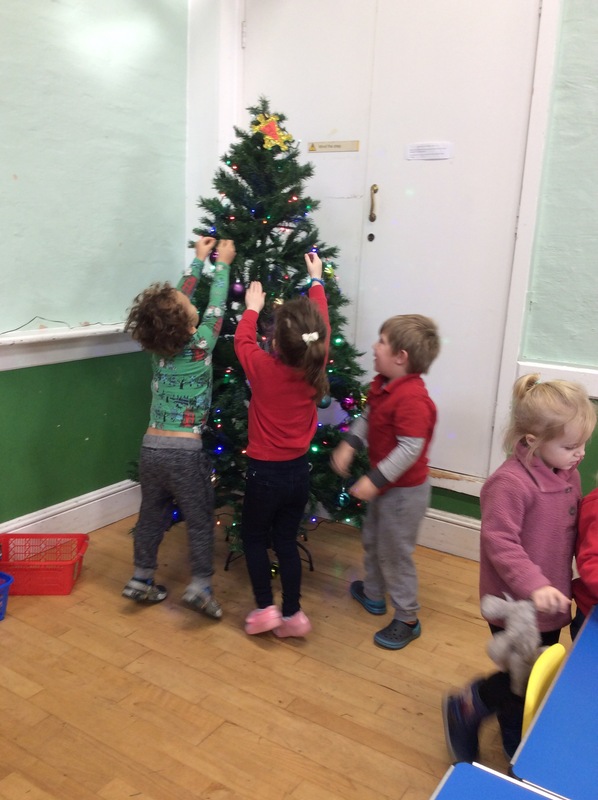 Today we put up our new preschool Christmas tree. Our tree and decorations were kindly donated by Homebase along with lights. 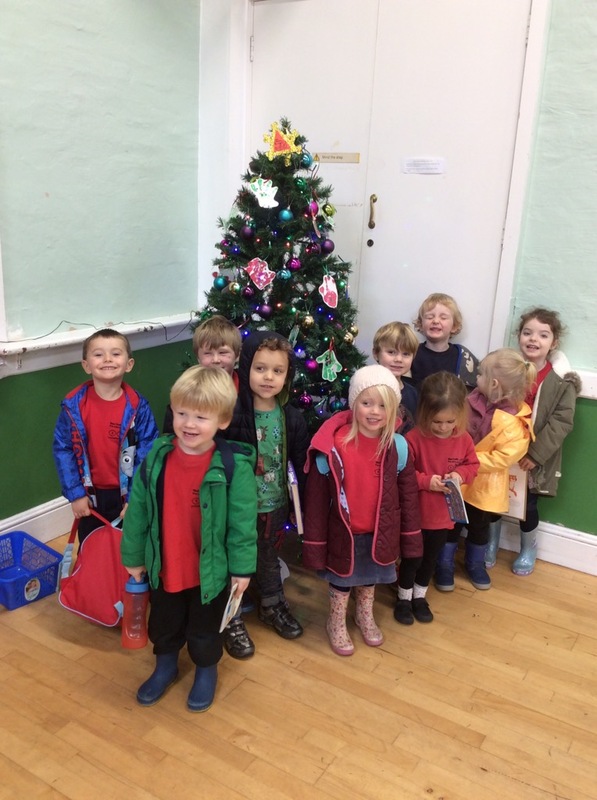 This is preschool’s first ever Christmas tree, many of the children helped to thread the string on the baubles and place them on the tree. Another great opportunity to get fine motor work in. We have also put our handmade Tree decorations on. Issy has been busy making some of the Nativity set with some of the children which has involved lots of cutting and sticking. 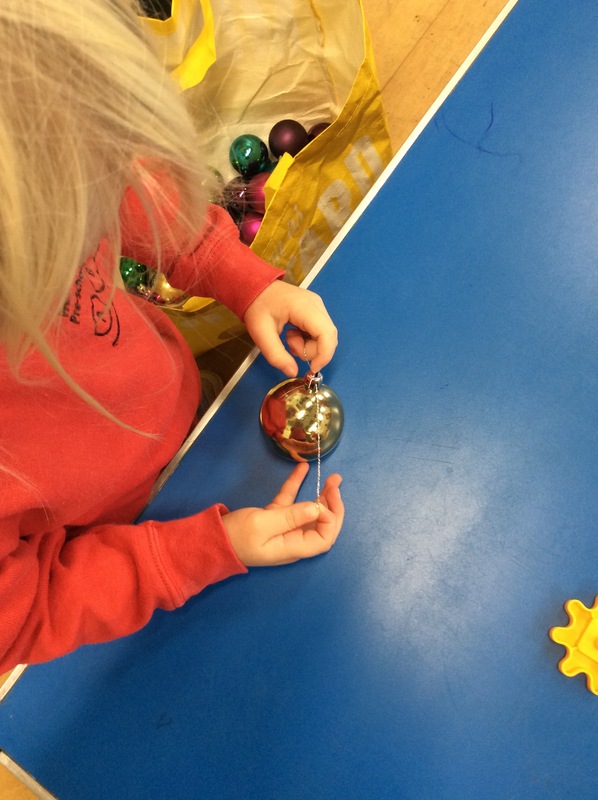 As well as all our Christmas activities this week we been using the gears set, threading and the children have been creating some fantastic pictures with felt pens, paint and sticking. Please look for the sheets to sign up for help with the Christmas party and nativity food, also raffle prizes. 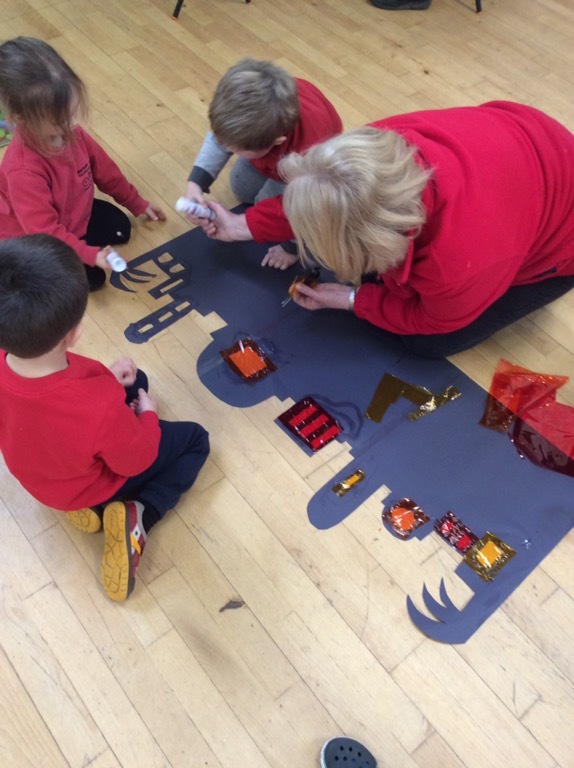 Every little helps us to continue to keep our community preschool thriving.